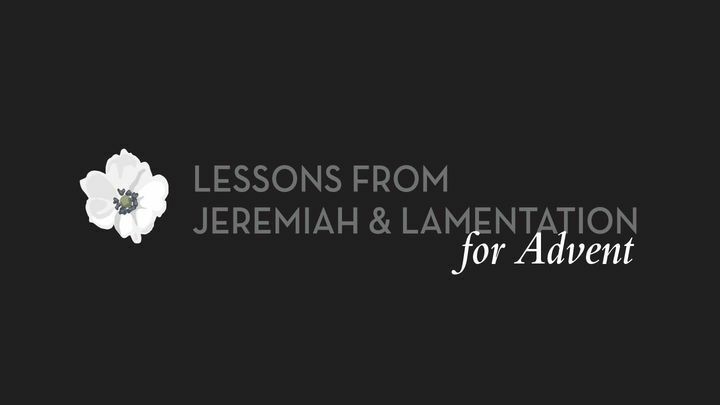 From Darkness To Light, From Sorrow To Hope: Lessons From Jeremiah And Lamentations - Expectation. Longing. Yearning. These emotions fill our hearts during the season of Advent. Drawn from the Latin word adventus, which means "coming," Advent is a time of anticipation for the celebration of Christ's Nativity. It is also a period of preparation for our Lord's Second Coming. Paradoxically, this holy season focuses our attention on the historical fact of Christ's birth as well as on the promise of his anticipated return. Expectation. Longing. Yearning. These emotions fill our hearts during the season of Advent. Drawn from the Latin word adventus, which means "coming," Advent is a time of anticipation for the celebration of Christ's Nativity. It is also a period of preparation for our Lord's Second Coming. Paradoxically, this holy season focuses our attention on the historical fact of Christ's birth as well as on the promise of his anticipated return.